I am so sorry for leaving you hanging...I am in the middle of a 6 week road trip to the Lower 48 (an Alaska thing: 10,000 miles in 6 weeks!) and have not had access to a computer to update you on my adventures. And the many things that I wanted to blog about before we left got set aside in a mad dash to pack our house up as we prepare to move closer to Homer. 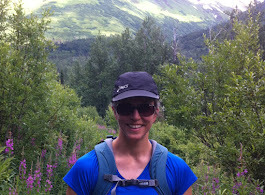 I will return in late July and will keep you updated on "Life in Alaska!" Meanwhile, from Wisconsin I am enjoying what the Midwest has to offer, while hankering for our Alaska summer. I thought we might come here and I would want to stay down here, but 90 degree weather has us thinking AK is the place to be!! Thanks for you patience and come back and visit again in a month or so!